LOCATION! LOCATION! Fabulous and bright 3/2 located across from East Valencia College and close to shopping, restaurants, airport, hospitals, schools and more! 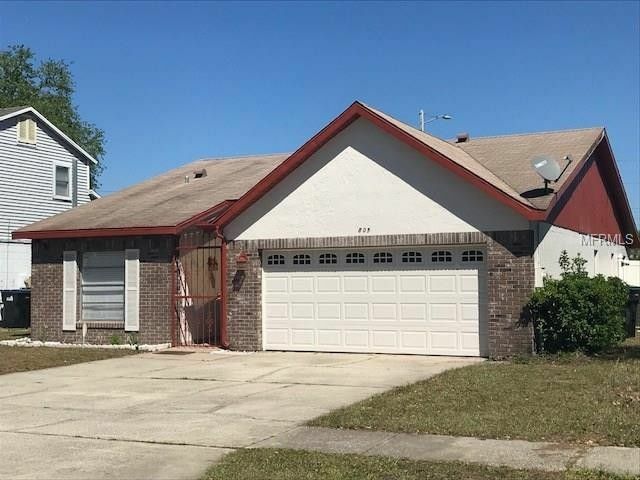 This property has a split bedroom floor plan, living and dining combo, spacious and open foyer, fireplace, 2 car garage and a fenced backyard with a shed and open patio. The master bedroom has a walk-in closet. All appliances stay including the 2-year-old Samsung front loaders washer and dryer. The home has the same tile flooring throughout. AC is about one year old. The property is clean and move-in ready! Driving Directions: From Valencia College Lane go left on Econolockhatchee to left into Valencia Gardens Community, then Oak Manor and it is the second home on the left.